I think this might be the first Tonic Nail Polish to cross my blog, but it's certainly not the first one I've worn. I (quite shamefully) have swatches of my first Tonics purchased in spring 2017. 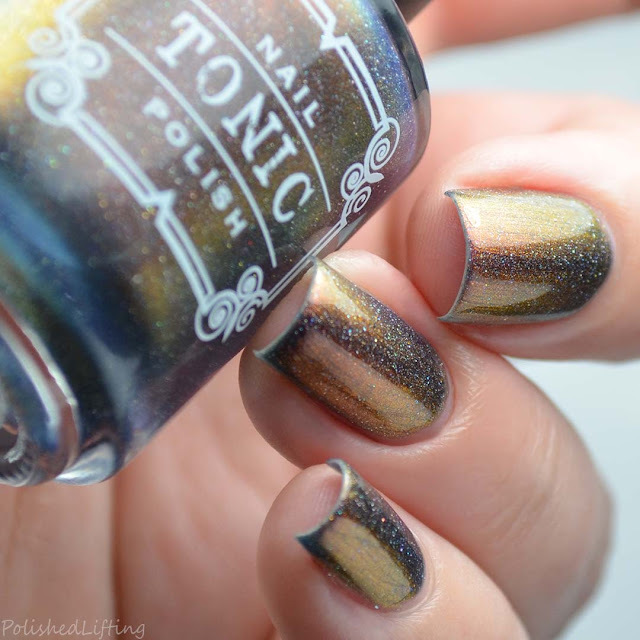 I will have those swatches up eventually, but I had to get Tonic Alchemy posted asap! Of all of the Tonic Nail Polish shades I've worn so far, Alchemy has to be my favorite. You can say that multi chromes have been done, and perhaps overdone, but I've yet to come across one quite like Alchemy. 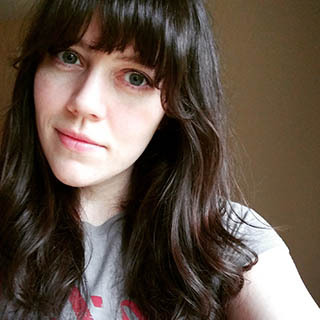 For me, it's the subtle blue undertones that really make this shade interesting. I have multi chromes in this color scheme but none of them have that hint of blue. 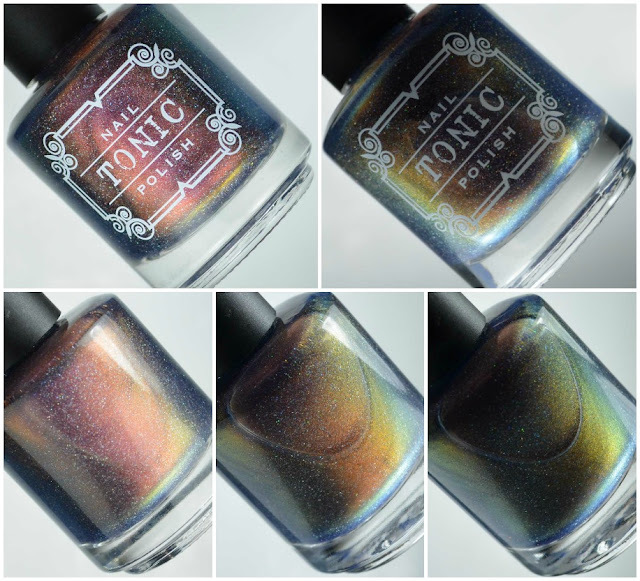 Notes: I have my fair share of multi chromes, but none quite like Tonic Alchemy. I really love the blue tones that accompany the brow to copper to gold shift. It really gives this a different feel. 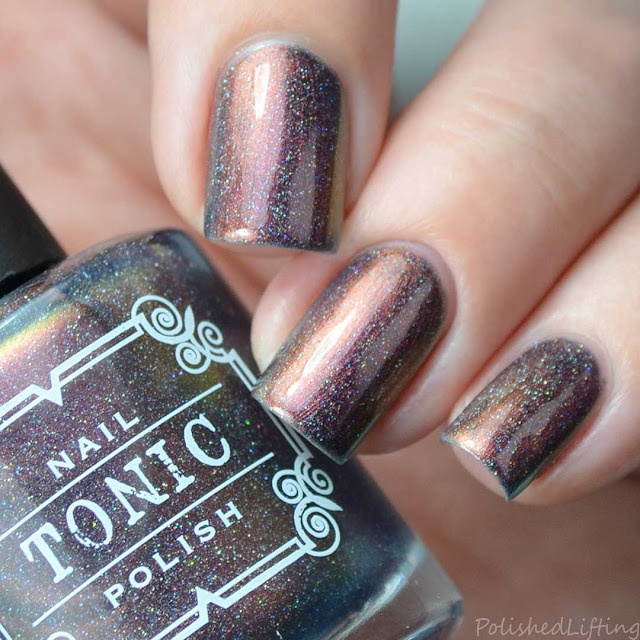 You can find Tonic Nail Polish at the links below. 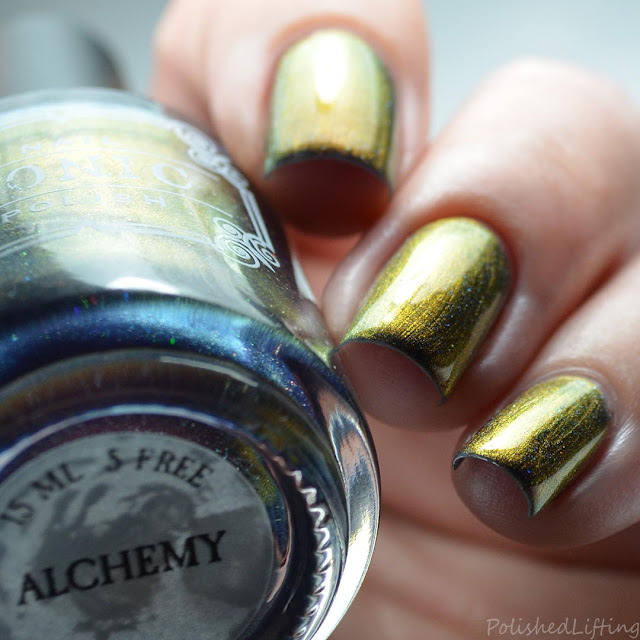 Alchemy is currently out of stock but it's still listed on the website. I have no idea if this is making a comeback, so I recommend checking out their fan group for info regarding restocks. 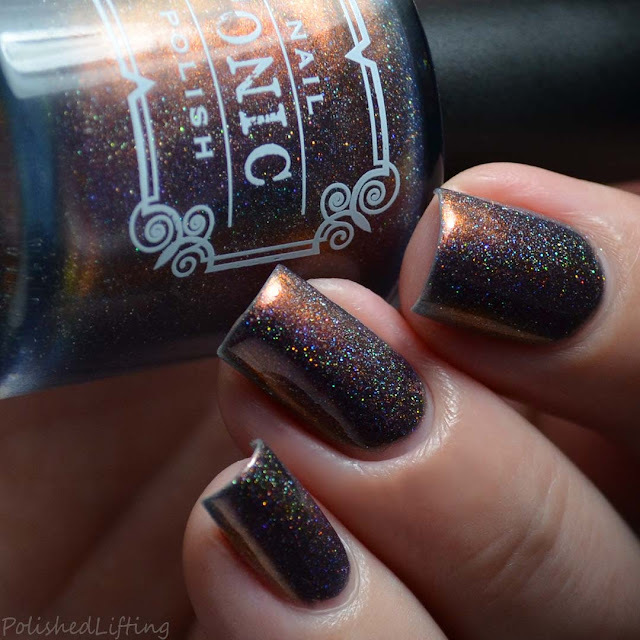 If you enjoyed this post you might like ILNP Undenied and Colors By Llarowe Annie Get Your Gun.